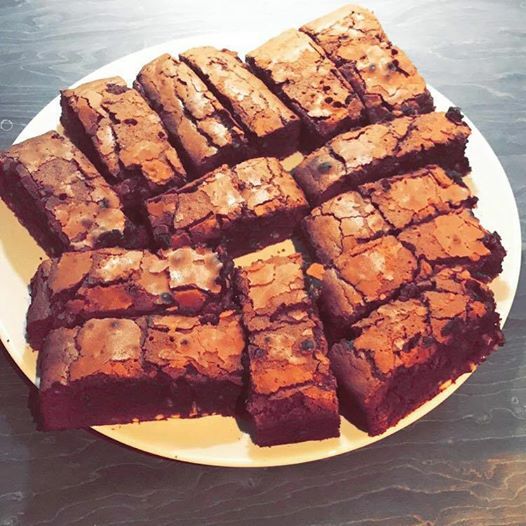 My thanks to Becky O'Toole for sharing her delicious recipe for Chocolate Brownies - a popular dessert in her family. Pre-heat the oven to 180'C or Gas Mark 4. Prepare a cake tin by greasing an 18cm square cake tin and line it with non stick baking parchment. Chop the chocolate and gently fold it into the butter and egg mixture. Add the vanilla extract. Add the baking powder, then sift in the flour and cocoa powder. Mix well - the mixture will be quite wet. Bake in the oven for 35 to 40 minutes. Allow to cool in the tin for ten minutes, then place on a wire rack to cool.